Friday marked the last day of the artists on the boardwalk art shows. That means I'm officially done with art shows for the summer season. I'm actually done for the year unless I find a gem of a holiday show that's still accepting artists. That doesn't seem very likely. I learned so much this year. Even at my least successful shows I learned very helpful lessons. I did Friday's show by myself. I was super nervous but am so very glad that I did. I brought along some beads to work on which worked out great. I was placed next to a knitter and her felter mom, they knitted and felted while I beaded and we chatted. The show was pretty slow but the weather was beautiful and the people that did stop by were all very nice and all chatty. I found that I opened up and talked to people more when I was by myself. People enjoyed watching me work. I think actually watching me string beads made people realize what I put into each flower. So what will I do differently next year? Well I know which shows' I'll reapply to and which shows I won't. I have a small idea of what new shows I'd like to try next year. I figured out that people like to build their own bouquets. So I want to have a diverse selection in lots of colors for people to pick and choose from. Maybe a better way to hang groups of flowers. Starting sooner than next year I want to start collection emails to make newsletters to send out to customers. I'm coming around to the idea that this actually works and I can announce the shows I'll be at or a new product in my inventory line. It feels like I have lots of time to make these decisions but really applications can be turned in as early as Jan. It's really just a small break. Art shows always show me what I need or want more of. After this show I feel very low on lilies and wine bottle pendants. I also want to really start making some more edgy stuff. I was making a pendant with a skull in it and I had lots of compliments on it. People really like skulls! I even sold it as soon as I finished it. Most of all I learned I really enjoy doing shows. I'm proud of my work and myself for this successful summer. And as relieved as I am for a break, I'm super excited for more shows in the future. Before we left on vacation I placed an order on ebay for some fancier photo equipment. My last art show is tomorrow and after that I knew that I'd have to spend some serious time on my Etsy shop. I sort of failed at renewing my listings this summer so my shop is looking pretty spare. What better time to redo photos and revamp tags and listing descriptions? So I invested a little bit in a photo tent and some lighting. Before I was taking my photos in diffused natural sunlight in my living room. That worked out great on sunny days. But in the winter it can be weeks of clouds which proved for really dark pictures. This photo tent and the lights will let me be less dependent on weather and location. I have it set up on my floor here, but it could easily be on a table too. The tent is collapsible and is 30inches square. 30 inches is way bigger than I first imagined but I'm glad I went big b/c I don't have to worry about squeezing bigger projects in there. I bought a kit with some stronger lights too. Many came with smaller lights which would have done nothing for a 30" box. These could even use a little extra light but they will do. Yesterday I set this all up and got out all my flowers. I spent 3 hours taking photos and got maybe half way through my current stock. I still need to go through them and see how they turned out but I'm very optimistic. Or maybe where I'm at. I'm having a hard time getting my brain back into normal mode after last weeks amazing vacation. This was our view from our cabin door. Literally two feet from the water's edge. It was a gorgeous lake full of wild life. We got to see Blue Heron's flying over head, Bald Eagle's fishing and eating on the shore, Loon's calling and diving, and lots of ducks and fish. 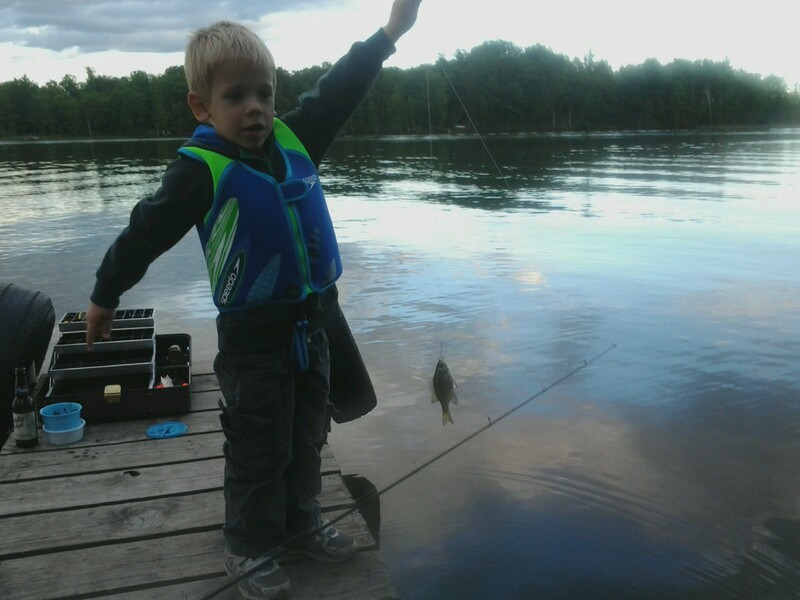 Here's my little fisher man. He was so into catching the fish. He even caught a larger norther pike but it jumped and fell off the hook. We helped him the entire time of course. He's not quite ready to handle hooks on his own. But he was not at all weary of touching the worms or the fish. 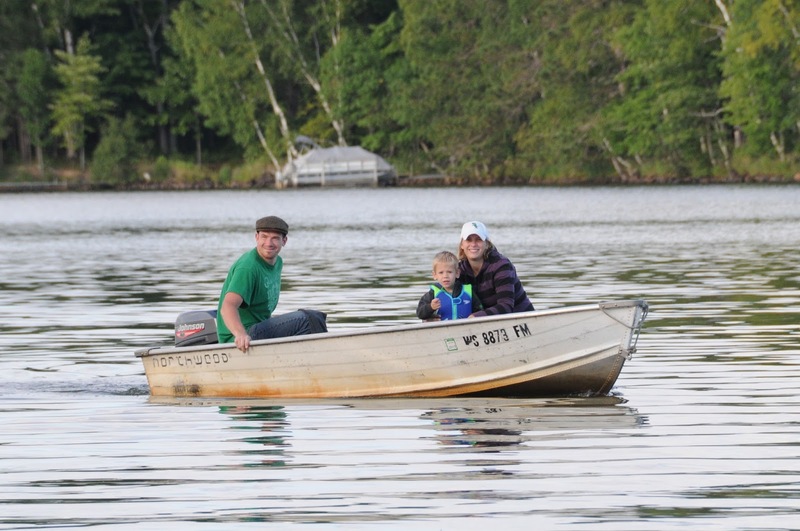 Family boat ride. 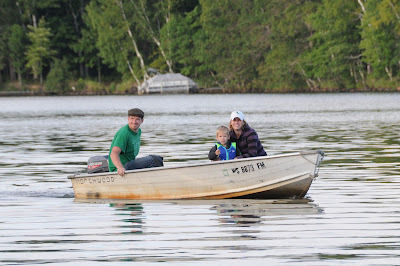 R's actual first boat right. He loved it. He pointed out all the bird's we'd see and the boats we'd pass by. I think he had a really nice vacation too. We were pretty much out of communication with the world. No Internet or cell phone coverage up there. And only 6 iffy channels of TV. That was a fun little challenge for someone that has her email open all day long to not check it for a full week. I had the jitters there for a little bit, but then I was glad I made the whole week. Instead I grabbed some wire and made some bracelets. Two of which are ready to be photographed and put into the shop. I can't wait to make more and to find my bead groove again. Back in July while I was prepping for the winery show I made a bunch of calla lilies. Before I assembled the individual flowers I discovered that together they could make some interesting flowers. Both 2D and 3D flowers. Some time in the future I do want to experiment with some 2D flower ideas that I have. I think I could come up with some fun and very different wall decor. But for now I'm in the world of 3D. These 3 callas put together like this and then turned up side down like a bell was really romantic. Delicate and sophisticated and BIG. The 3 together like this probably measures 5-6 inches across. I'm not sure where these ideas will take me or how they will develop, but I wanted to post them here in hopes that I don't forget or loose the inspiration for them. 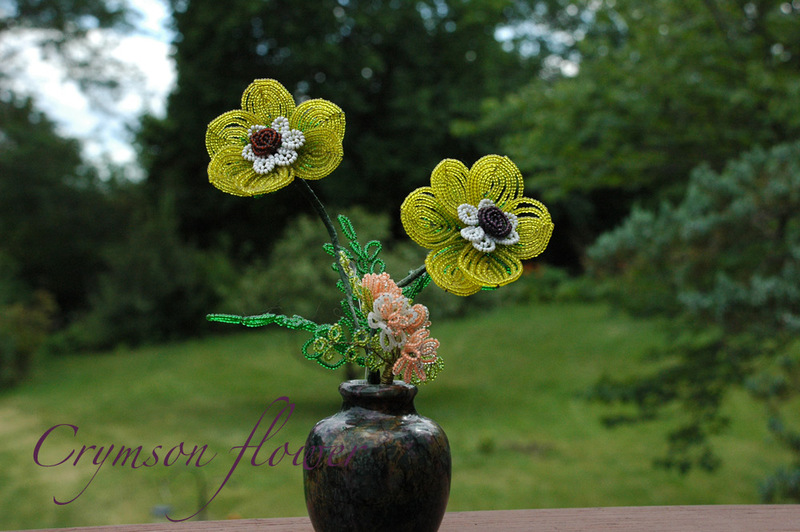 Crymson Flower on Etsy closes tonight for vacation. I will reopen early in the week of 19th. I am bringing wire and beads with me to Wisconsin but they will not be my primary focus. I want to relax and really enjoy the quietness and beauty of the woods up there. My goals are to eat great vacation food, take R on his first boat ride, maybe relearn how to fish, go on some hikes, and get some sleep. All of that seems like reasonable accomplishments. I don't know the entire story behind these amazing beaded poppies. I know they were made by a friend of my Grandma's named Posie. Back when I was first learning to make beaded flowers I would live with my Grandma in the summers to work at an internship. So she watched me go through the early learning phases of flower making. Back then she and another friend would road trip to visit Posie once a year or so. 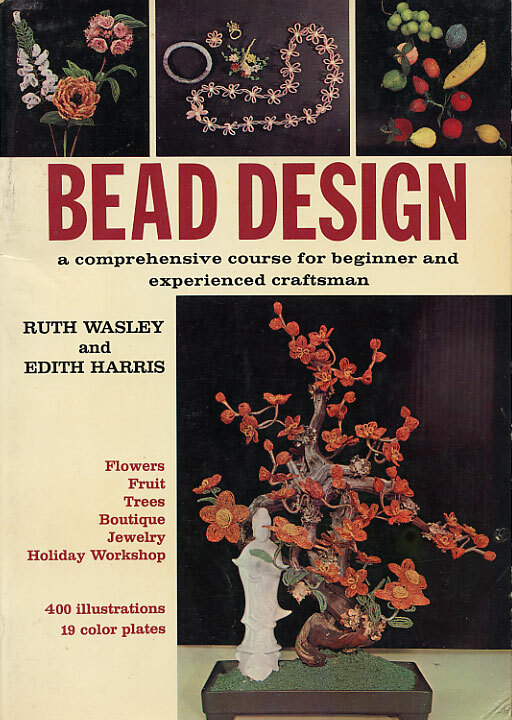 One trip she brought back 2 books, The Art of Making Bead Flowers and Bouquets by Virginia Nathanson and Bead Design by Ruth Wasley and Edith Harris. Both are out of print and hard to find. 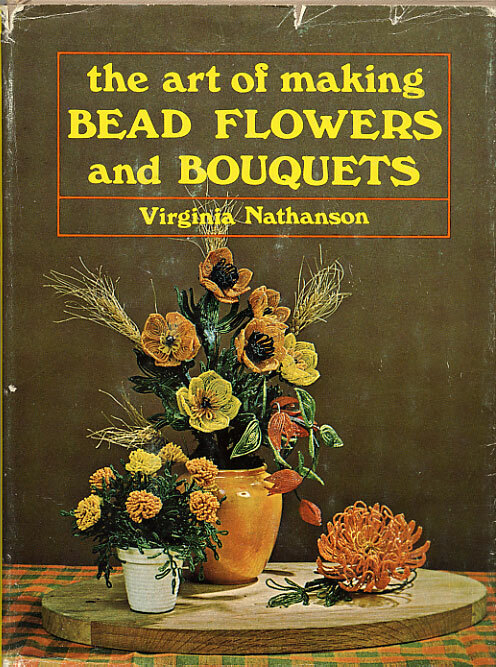 There wasn't much out there in the world of beaded flower books. These two books were and still are the most inspiring books I have. 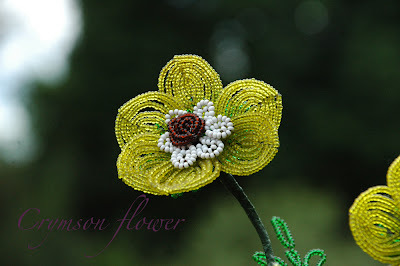 I'm past the stage of looking at books to learn how to make flowers, I do all my patterns on my own. But if you are new and can get your hands on these vintage books I highly recommend them. Something about learning a vintage art from vintage books just feels right to me. At the same time she brought back the books, Grandma also brought back these yellow poppies beaded by Posie. She combined them with some peach beaded flowers that no one remembers where she got, and placed them into a heavy stone vase. They've sat in her living room for 12 years. Earlier this summer I was up visiting Gram and she asked if I wanted Posie's poppies. Of course I did. They are lovely. We guess that she made them back in the 60ies. Posie has since passed away. But I love how great a condition her flowers are in. They aren't even laced and each petal still has it's original shape. There was a pretty good layer of dust on them but I gently cleaned them and the glass beads still have all their color. The steel wires still feel strong. The stems are holding together perfectly. 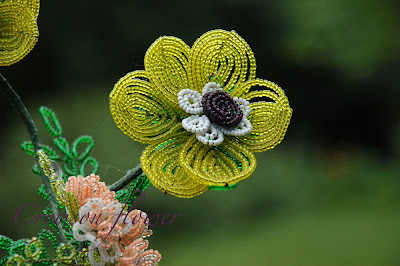 This is an excellent example of how well beaded flowers can hold up to time. If they are treated well and they can look almost like new 50 years later. This little vase of flowers now sits on my bedroom dresser. Every morning it makes me happy. And I can't help but hope that someday 50 years from now my flowers will be on some one's dresser making them happy too. haha, cheesy but true. 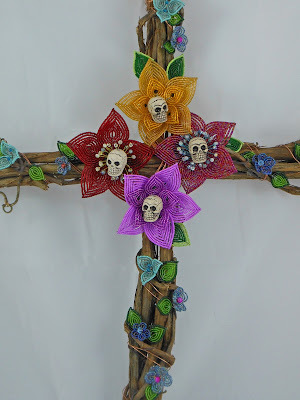 ~ I finished my day of the dead project this weekend. I took pictures and applied to the exhibit at the art guild. Now I'm attempting to be patient while I wait to find out if I got in. ~ I'm in no way shape or form sick of these skull beads. Keep your eye out for some more skull flowers. ~ I'm a year older now. I think I'm becoming more girly in my old age. ~ I paint my toes, color my hair, and even occasionally wear the color pink now. ~ I made a new bracelet this weekend and I love it. ~ We leave on vacation on Saturday. 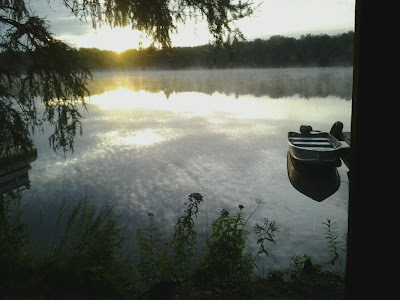 1 week w/ my folks and my boys in northern WI. Super excited. ~ The last few days I've come up with some wishes/dreams I want to accomplish. Things like learning to solder and setting up a full blown work studio complete w/ lots of tools. I would like to learn to cook pastries well. I would like to travel more. ~ Maybe I should start doing lists like I used to. ~ I bought a table top photography "studio." When I get back from vaca I'm going to retake all my photos and relist my flowers in Etsy. I'm excited.